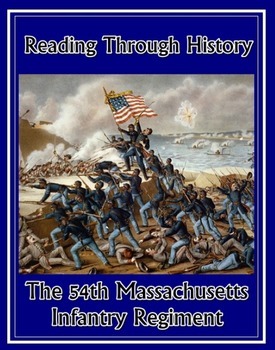 This is a single four page unit from Reading Through History documenting the experiences and achievements of the 54th Massachusetts Infantry Regiment, the famed African American unit which saw action in South Carolina during the Civil War. There is a one page reading followed by three pages of student activities. The student activities include multiple choice questions, a student response essay question, a guided reading activity, and vocabulary activities. 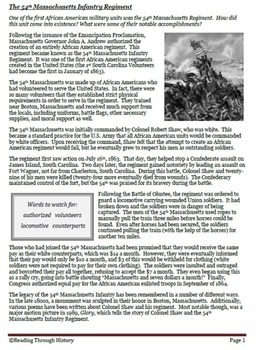 There is enough material to cover around 40 minutes of class time.